ECN brokers are the purest breeds among all Forex Currency Exchanges. They don’t profit on spread difference; their only profit comes from commission. ITFX is transforming as part of a merger to enhance their Forex ECN services as well as their functionality when it comes to completing worldwide transactions in the Online Forex Market . InvestTechFX’s current management team proposed the creation of a new management company designed to expand upon its core strengths as a software solutions company providing the MT4 platform for FX Trading. The proposal was approved in August 2011 which includes a merger with an Asian-based operation. The merger will allow InvestTechFX to offer clients direct access to (ECN) Electronic Communications Network as well continuing STP service. Previously, ITFX acted strictly as a Straight Through Processor (STP) and No Dealing Desk (NDD). As recognized in the industry, ITFX was solely a Non-Dealing Desk Software Solutions Company that processed clients’ trades on the STP network uninterrupted to the Interbank. Now with this new merger, ITFX will be joining the latest trends in the Forex Trading Industry by moving to the Forex ECN style of trading while maintaining STP status. There are market makers, which trade against traders to make a profit as well as manipulate their spreads. In addition, some customers of market makers usually experience delayed orders. Another style of broker known is STP, this kind of broker sends orders directly to the Interbank. STPs offer the option of fixed or variable spreads which often benefits all parties. Finally ECN’s offer variable spreads based on supply, demand, volatility and other conditions in the market and in return allow the trader to trade on very tight spreads. Forex ECN’s also have a larger pool of traders compared to STPs and which gives faster execution of orders and no re-quotes to the customers. 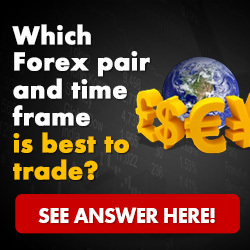 As the above suggests, the Forex ECN Network presents a much better environment in terms of the client’s needs and expectations with regards to pricing, faster execution of orders, variable spreads and convenience of no re-quotes.